James Lee Burke talks about violence, writing, littering, alcoholism, liberalism and bestsellers. James Lee Burke has seen and heard enough to fill a book. Actually, make that 22 books. Burke is best known for his novels featuring Dave Robicheaux, an Iberia Parish detective who sees the world in black and white, a man who is haunted at times by his own alcoholism and his desire to do right in a world ruled by insanity. At 65 years old, Burke is a demure man with small, penetrating eyes and a disarming smile. His laughter sounds as if it’s rattling itself free from his bones. There are times he laughs so hard it ends in a coughing fit. He writes about man’s depravity and his grace, his beauty and his vulgarity. His novels have engaged millions of readers all over the world, propelling him to the top of The New York Times’ bestseller list. But for the man who lives in New Iberia, with a second home in Missoula, Mont., life hasn’t always been a gravy train. The ride to the top has been riddled with detours and unexpected delays. The Times recently sat down with Burke at his home along the banks of Bayou Teche. He was preparing for a national book tour in support of his latest Robicheaux novel, Jolie Blon’s Bounce. In his office, bathed in sunlight filtered through an oak tree outside of his bay window, he gave some insight into the man behind Dave Robicheaux. He laughs so hard he’s headed for a coughing fit. Burke was born in Houston in 1936. His mother was a secretary and his father was a natural gas engineer. At the age of 18, Burke’s father died in a car accident in Anahuac, Texas. In 1955, Burke enrolled at Southwestern Louisiana Institute in Lafayette, where he remembers studying Homer, William Faulkner, Samuel Coleridge, Francis Bacon and John Stuart Mill. He also remembers meeting one of the most influential people in his life, Lyle Williams, his freshman English professor. For the rest of the semester, Burke revised his papers every Saturday under Williams’ supervision and managed to squeeze a B out of the class. “Had it not been for Lyle Williams, I probably would not be a writer today,” he says. While at SLI, Burke published his first short story, Terminus, in the school’s literary journal. In his junior year, Burke transferred to the University of Missouri in Columbia to study journalism. He hoped that a career in journalism would lead to a literary career. Instead of studying journalism, he studied creative writing and met his future wife, Pearl. In 1960, he graduated with honors. Before he mastered the bestseller, Burke was a jack of all trades – a land man for Sinclair Oil Company, a truck driver for the U.S. Forest Service, a teacher in the Job Corps, a reporter for The Daily Advertiser, a social worker in Los Angeles’ skid row and professor at four universities and a community college. Burke remembers working with W.J., a man that had been all over the world. During World War II, W.J. fought in the South Pacific. He went into the Army as a private and when he was discharged seven years later, he was still a private. One day W.J. showed up for work five days late. He said he had been in Lake Charles and that he was never going back, that it was a town of liars. He said that they had concocted a story about him one evening in a beer joint during a bourrée game that had gone sour. They threw him out and locked the door on him. W.J. hooked the winch from his truck to the building, pulled it off of its blocks and drove through the front wall, blowing his horn for another drink. Burke laughs so hard recounting the story that he’s brought to tears. He wrote steadily and developed a system for dealing with the rejection of his short stories. After receiving a rejection notice, he gave himself 36 hours to get the story back in the mail and off to another magazine. He’s used the same system for 45 years. “If you keep your story at home, you’re insured to lose,” he says. While he continued to work, write and raise a family, Burke also struggled with alcoholism. He attended a 12-step program for people with drinking problems and has remained sober for the last 25 years. He’s reluctant to talk about it, because he says “unless a person goes inside of it, it’s like listening to Sanskrit,” but he takes a crack at it anyway. What compelled you to quit drinking? “For people who have gotten on the dirty boogie, there are choices to be made. A guy can stay on it and flame out, blow out his doors, crash and burn. That’s when he can make a choice for another kind of life. Until a person gets to that point where he decides that he wants a better life, in all probability, he’s going to live inside what is a kind of hermetically sealed environment where insanity seems rational. “People who are knowledgeable about addiction today treat it as a disease. They don’t try to proselytize about it. But there’s no question that condemnation of the addicted person only empowers him to stay out there, to stay on the dirty boogie. Maybe a day finally comes when he realizes that shame and guilt should not be his province and at that moment he can elect to have a good life. “Condemnation and criticism of the drunk or the addict is the same as giving him the liquor store. He will determine to prove that he can handle it, that he is not afflicted, that he is not morally weak, because the indictment of him is usually on the basis of moral weakness. He is being told, in effect, he’s a spiritual leper. An alcoholic is going to do everything in his power to prove he’s normal by getting drunk again. It’s insanity but it’s the nature of compulsive, obsessive behavior. “Then when he meets a group of people who have been there, who have been inside that hermetically sealed environment where you see the world through a glass darkly and they tell him that, yeah, he’s responsible for all the mistakes he made, nobody made him drink or use and that he needs to make amends and he has to own up to things and he has to get square with the world and he cannot blame anyone else for his plight except himself. But nonetheless, he has to be aware that there’s a difference in his chemistry that is not like other people. Booze doesn’t have the same effect on everyone. It’s just one out of 10. Burke published his first book Half of Paradise in 1965, followed by two more – To the Bright and Shining Sun (1970) and Lay Down My Sword and Shield (1971). The first two books sold well and established him as a writer, but the third book didn’t fare as well. He continued to write, despite having difficulties publishing his material. He says, “It’s like being rich twice and being broke three times.” He says he owes a debt of gratitude to LSU Press he can never repay. He’s also leery to draw a connection between his sobriety with the fortunate change in his career. He says his career took a change for the better because he continued to write despite the rejection. In 1986 he published his fourth novel, The Lost Get Back Boogie. The book holds the distinction of being the most rejected book in New York’s publishing history. “That’s not exaggeration,” Burke says. “It’s known for the record, 111 times with my current agent. It was out with another agent previous to those 111 rejections. It was under submission through my current agent, Philip Spitzer, over a nine-year period and received 111 rejections.” The Lost Get Back Boogie was later nominated for the Pulitzer Prize. In 1984, he was fishing with writer Rick DeMarinis on the Bitterroot River in Montana. DeMarinis suggested that he try his hand at a crime novel. Burke later flew from Missoula to San Francisco and begin outlining a new novel on a yellow legal pad. He wrote two chapters while sitting in an Italian coffee shop next to Ferlinghetti’s City Lights Bookstore on the North Beach. After he typed the chapters out, he had the beginning of The Neon Rain, the first novel featuring Dave Robicheaux. Burke has since written a dozen books with Robicheaux as the protagonist. Although he has another series following the life of a Texan, Billy Bob Holland, the Robicheaux books have become his trademark. He is also a Guggenheim Fellow, a Breadloaf Fellow and a National Endowment for the Arts Fellow. His short stories have been published in national magazines and collections of short stories like Best American Short Stories and New Stories from the South. He is the only writer with the distinction of receiving two Edgar awards (named in honor of Edgar Allen Poe and given by the Mystery Writers of America) for Black Cherry Blues (1989) and also Cimarron Rose (1998). The success of Black Cherry Blues allowed Burke to quit his teaching job and to write full time. Burke’s novels are painted with vivid descriptions of the land, pithy dialogue and sudden acts of physical violence. The combination of action, description and dialogue makes for a page-turning read. The common criticism made against his work is that there is too much violence. How do you respond to the criticism that your writing is too violent? When people use that term violence, we hear it all the time, “Look at the violence in this.” What kind of nonsense is that? It’s just doo-dah. It’s like saying, “My God, look at this Hamlet leaving all these bodies in the fifth act. Jeez, this is terrible.” This usually comes from the same people to whom the violence in Central America leaves no scratch. The loss of a hundred thousand civilian lives in the Iraq war are just kind of passed over, a war conducted against a man who was the ally of the administration during the 1980s, a man whom we armed and suddenly who became the anti-Christ. I don’t have any doubt this guy is evil, but that was not the attitude of our government towards him previously. People do not consider this violence. In (Mario Puzo’s book) The Last Don, he talks about the gambling industry and he says what kind of government would inculcate a vice in its citizenry? And, of course, it’s all with the blessing of the state and the federal government that the poor, the uneducated, the obsessive and the compulsive – who are the only people who gamble habitually, because it’s not gambling. You’re going to lose. There’s no way you’re going to win. This is an act of violence, in my mind, because it robs from the poor. Oh, they’re there by their own consent, but it’s not an informed consent. Everyone knows it. No one who had any awareness of the commitment which he’s made would be there. I used to spend a lot of time at race tracks. I love horse-racing. If you watch the action at a track, you’ll notice the bar is empty during the first races. By the seventh race, it’s packed with two kinds of people – the winners and the losers, but more losers than winners because the compulsive gambler wins when he loses. His loss confirms his long-held and cherished suspicion that the universe has plotted against him and he’s got the evidence to prove that he is not responsible for his own failure. The fates have done this to him, but he’s happy again, as happy as a pig rolling in slop. And then if he wins, he’s proven that he can intuit the future he’s painted with magic. Well, in other words, we’re talking about a psychological basket case. Of course, the attrition, the real violence sometimes is precipitated on down the road. I mean, after this guy spends the rent and the grocery, and they do. If you look at the guys at the $2 window, that’s where the money is made. These are the guys that drop it all. As a former reporter, do you think the media is liberal? It’s an old myth that the press is liberal. It’s absolutely nonsense. It’s a statistical fact 90 percent of media are owned by Republican interests and that’s great. But to say the press is liberal is just silly and has nothing to do with reality. Secondly, most news people, almost universally, are decent people. It’s like people in the book business. You don’t have many negative experiences. They tend to run of a kind. They are people of goodwill. They enjoy language. They enjoy books, and I would say that 95 percent of them are simply interested in the truth. There’s maybe five percent that have an agenda, but they’re usually not journalists. They’re columnists and the ego is very apparent in their prose When you start seeing those five words – I, me, my, mine and myself – you know who I’m talking about. There are many stories, but I’ve heard them, even recently from individuals, that all coincide. The dope went north and the guns went south. It’s probably the worst political scandal in America’s history and when the Sacramento Bee broke the story, I think the Washington Post and The New York Times discredited it, but I believe the account in the Sacramento Bee. I’ve just heard it too many places. I heard the head of the DEA say it. This guy was a Reagan appointee. He said, this is an exact quote, “The Contras are introducing cocaine into the United States.” Now for anyone to simultaneously say we’re serious about what’s called The War on Drugs is deceiving himself, deluding himself. I consider myself pretty traditional, really. People of my generation, who were born in the Depression, tend to be traditionalists. If I had to call myself a name I’d say I was a Jeffersonian liberal. But, see, something has become askew in American thinking. Liberals now are tarred in every way by people who want to associate in the popular mind liberalism with some kind of fanatical movement. Traditional liberalism has involved certain kinds of movements that gave us Social Security, minimum wage, public healthcare, environmental and consumer protection, the civil rights acts of the 1960s, the fair hiring act, the equal employment act, public education. What is it that is so objectionable about Medicare for God’s sake? I remember on many occasions when liberals, or people who were supposed to be liberals, were called liberals and they shrink. It’s beyond me, absolutely beyond me. I mean, do people think that the right wing gave us Social Security, collective bargaining, clean water? I don’t know. I think it’s one of those deals where you say it enough times, people began to believe it. Now, there are people, to my mind, who are libertine, who have taken on the guise of being liberals and they are not liberals. They are involved in something else. I’m not knocking them, but this stuff about correctness in language, this hyper-sensitivity about ethnicity and the notion that people are not accountable for what they do, this is not liberalism. Liberalism is founded on the Jeffersonian notion that ultimately the individual deserves the protection of his government, that the government has to give power to and protect those who have no voice, who are disenfranchised. The government is there to make the society work in an equitable and just way. That’s the spirit of and the tradition of the liberal movement in this country. This other stuff has nothing to do with it. Empowering an adult bookstore to open up shop in a neighborhood filled with elderly people who lack political power, whose finances are immediately compromised and their property values plummet, that is not, in my mind, enforcement of the First Amendment. It has nothing to do with the First Amendment. This is a misinterpretation of the constitutional views of people like Adams, Jefferson, Franklin and all these other early guys. They weren’t there to protect pornographers who create victims out of defenseless people. The libertine view of life has much more to do with fashion than it does politics. There’s nothing liberal about Hollywood. That’s just nonsense. The Disney Company violated minimum wage laws in Haiti. I mean, you’ve got to really work to violate sweatshop laws. You have said before that opening a Wal-Mart in a small town is the equivalent of setting off a hydrogen bomb. Do you think cultures can survive in the face of corporate America or will the Wal-Marts of the world win out in the end? The latter is, I’m afraid, what probably is going to occur in my lifetime. Louisiana’s great tragedy is the lack of education that we provide for the poor, for those who have inherited the problems of the past. I think, you see, as long as there are politicians who are sycophants for right-wing and venal and industrial interests, we’re going to see more of the same. What all demagogues and all those who manipulate the electorate and exploit the earth seek is an uninformed electorate. Their enemy is knowledge and enlightenment. If you can give people cheap goods – you give them Powerball lotteries, drive-by daiquiri windows, implicit permission to drive with alcohol behind the wheel – in effect allow them the libertine ethos, which normally only the rich have had access to, and are sacrosanct, in effect, are finally not made accountable for, as long as we give these things as a kind of collective opiate to the poor, we’re going to have all these other problems. For example, no one, in my lifetime, I know, has ever been arrested for littering, even though Southern Louisiana is strewn with trash from one end to the other. As soon as that happens, it’s like pulling on a thread on a sweater, and people are going to start asking other questions. How about these oil industries that have caused Louisiana to be rated eight years in a row as having the worst water quality in the nation? Number 50. Your accountability goes from the bottom up. So you’ve got this huge number of people who are uneducated, often addicted. They’re given casinos they can go to and lose their money. The cynicism involved, to my mind, is mind-numbing. To me, it’s hopeless, in my lifetime. 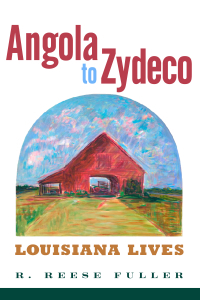 I think what’ll happen is that the generation after mine will see a time when people from other places, as well as indigenous native Louisianians, will rediscover what we have and will create a replica of what used to be and they’ll live in it. People will see what used to be there but they won’t be the original denizens. It’s the irony of history. It’s in retrospect that we value what we lost. But the damage is done here by developers. You see live oaks lopped down in front of Wal-Mart in Abbeville, hundreds of years old. It makes your heart sick. In my lifetime the changes are just enormous. Lafayette used to be a sleepy Southern town covered with oak trees. From the Oil Center plumb out to Vermilion Bayou was a solid tunnel of oak trees. It was a two-lane road. It was beautiful. Just before you reached the river on the right-hand side was an antebellum plantation. I don’t believe it has to be either/or. There are ways to do things so that you don’t destroy what is just invaluable. It’s irreparable. It’s like watching people using a chainsaw while on acid. But you can’t turn it around. But I don’t know the answer for it. Education is part of it, but at some point we have to enforce the law. It becomes discouraging when you get involved with it, trying to do something. There are people here in New Iberia who really work hard to save the trees, to keep the town clean. It’s just a daunting task. They’re really dedicated. And it’s not simply the poor. You see people who obviously are of means throw their trash out the window, bags of garbage, man, just explode on the side of the road. The bayous are full of it. I see trash every morning floating down to the Gulf. It’s one of those things you got to work the serenity prayer on but it goes down sideways anyway. To me, what’s disturbing, is that it was not always like that. It was not like that years ago. I think maybe part of it has to do with that kind of Mardi Gras mentality. People become imbued with this notion of laissez les bons temps rouler, like there’s no tomorrow. Just fling your garbage. I think Dave Robicheaux calls it a self-congratulatory form of hedonism. What’s the secret to writing best-selling novels? (Laughs) What’s the secret? There is no secret. There is none. You build a readership, as a rule, over a very long time. It’s incremental. There’s people whose early work becomes best-seller fiction, but oft times it doesn’t sustain itself. Now there are others for whom there’s a kind of electronic element at work – sales to film and television. But that’s not enough either. Usually to get into what is called, in publishing, best-sellerdom, requires many years while the readership grows and grows. It’s a fickle business. You learn real quick. It’s like the oil business. It’s gushers or dusters. Why is the business so fickle? It’s popular taste. One thing an author can always rely upon is that if he has success, it will go away from him. It’s going to happen. It’s just a matter of time. So when you have some success, put it in the bank because you’ll need it. What’s key to a successful life? You do it a day at a time, I think. If I’ve learned anything it’s that maybe you don’t learn a lot. I feel as young as I was when I was 21. I’m probably a little more patient than I was then, probably less impetuous, but otherwise I think it’s one of the great myths that age brings you great wisdom. What we learn ultimately, I think, is probably that the things that are valuable really are not purchased with money. It’s like one of those admonitions that’s true: Money keeps a mess of grief off your porch, but the things that really count are the things that you never can buy – family and friends, the good life. Although Burke’s latest novel, Jolie Blon’s Bounce, has just hit bookstores, he has already written his 23rd novel, set in New Iberia during the Civil War. He says the book will be published next year.